These are the Clips that are used to attach the RGB Pixels and Nodes to your 5mm Wireframes. Our Christmas Clips have been specially made for outdoor silhouette use and are UV stabilized. 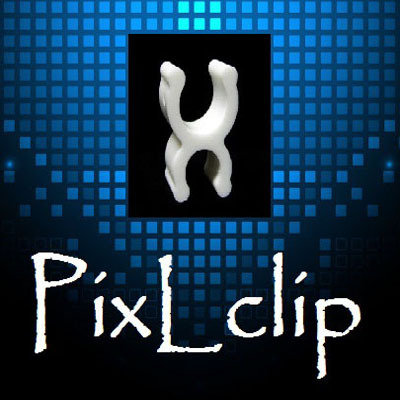 Our Pixl Clips save time and give a tidy and more proffesional look to a Silhouette. Now you can easily create mega trees or snap your pixels onto those old fashion wireframes that need an update! Designed from the ground up, each pixel clip has the ability of holding a standard 12mm round pixels and also ncluding our RGB Nodes. Attach the clip to the material and just snap the pixel right into place...it couldn't be easier!